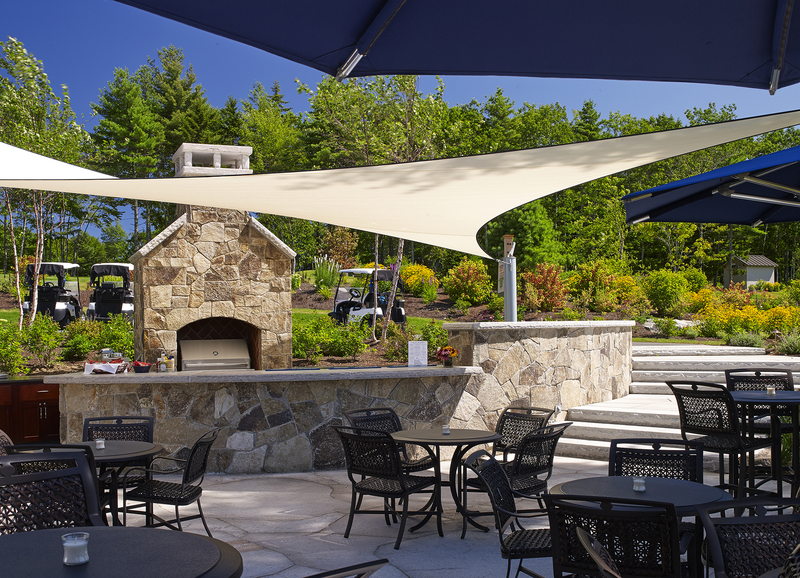 The original concept for “Over the Ledge” began as a building, but with time, evolved into an open air structure that sits atop the landscape of the Boothbay Harbor Country Club golf course. 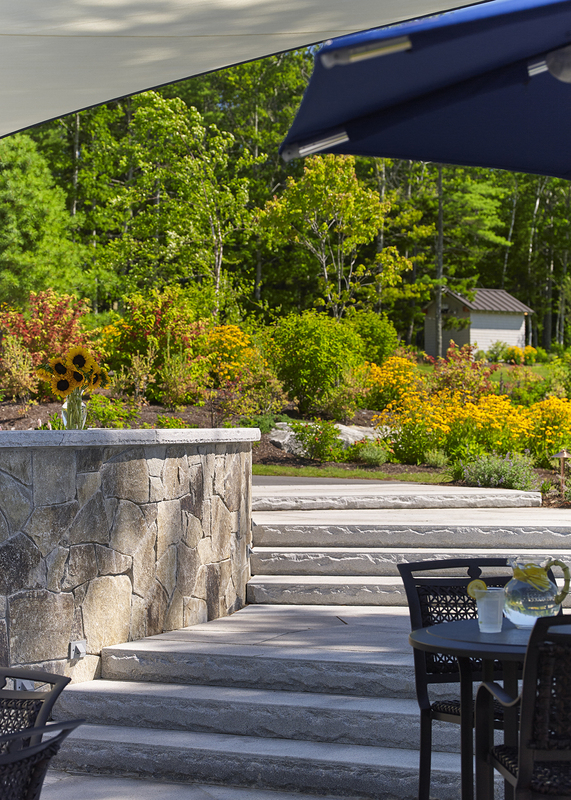 The canopy called for large footings buried below grade; their locations critical in order to avoid existing underground utilities, as well as to ensure sufficient depth for the ample landscaping. 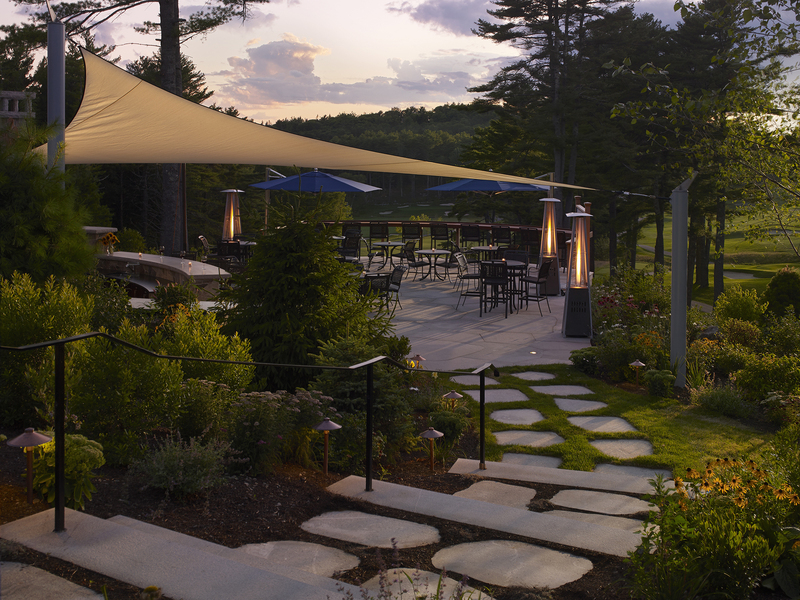 Aesthetically, the goal was to incorporate natural materials to help the structure blend into the landscape, or “ledge”. 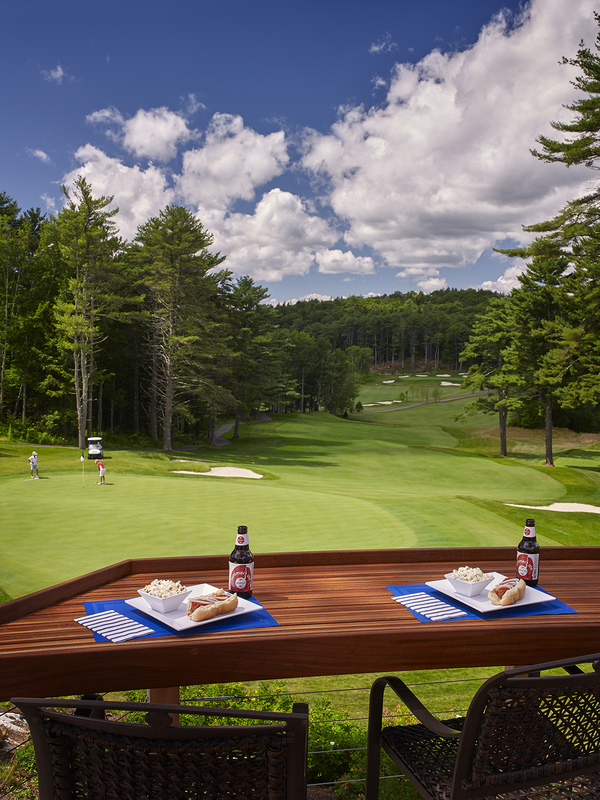 It is strategically placed at the midway point of the course, the 9th hole, a perfect stopping point for anyone wishing to relax with a drink and bite to eat while taking in the stunning vistas. 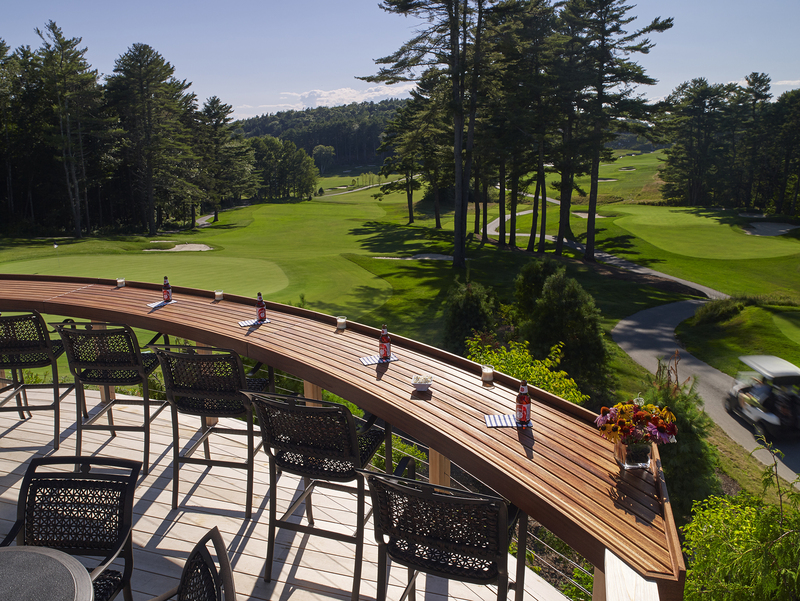 Mahogany was used for the sweeping countertop and red cedar for the decking. 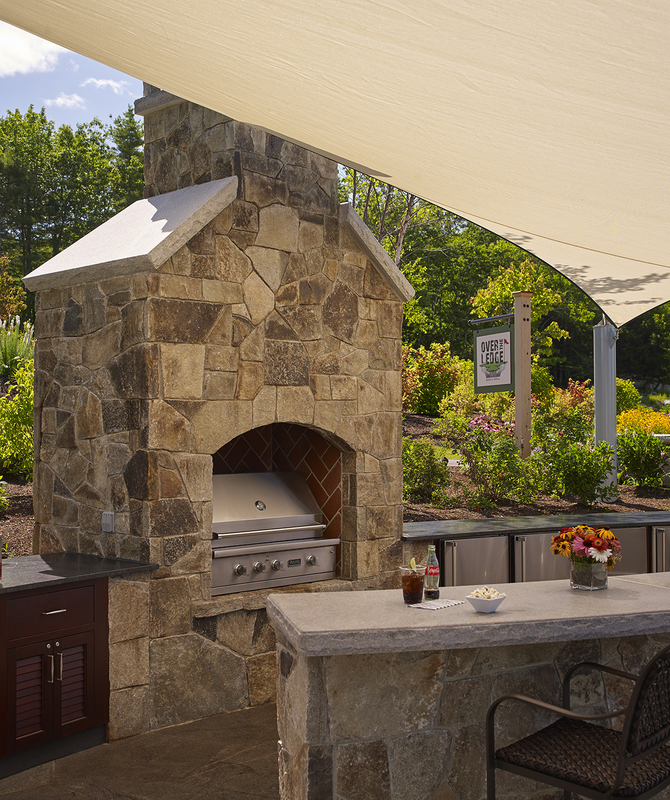 The fireplace, kitchen, and bar area were all constructed of locally sourced granite, both natural and honed. 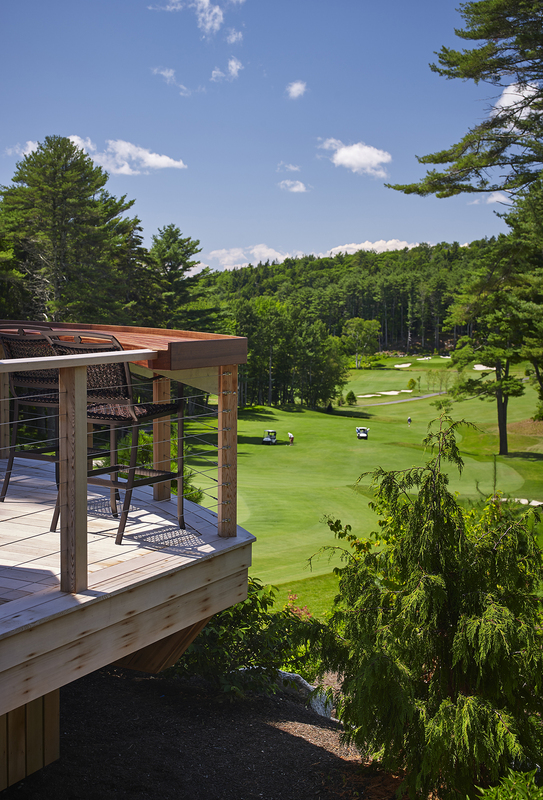 The deck cantilevers over the edge of the golf course, close enough to witness a hole-in-one on the adjacent green. 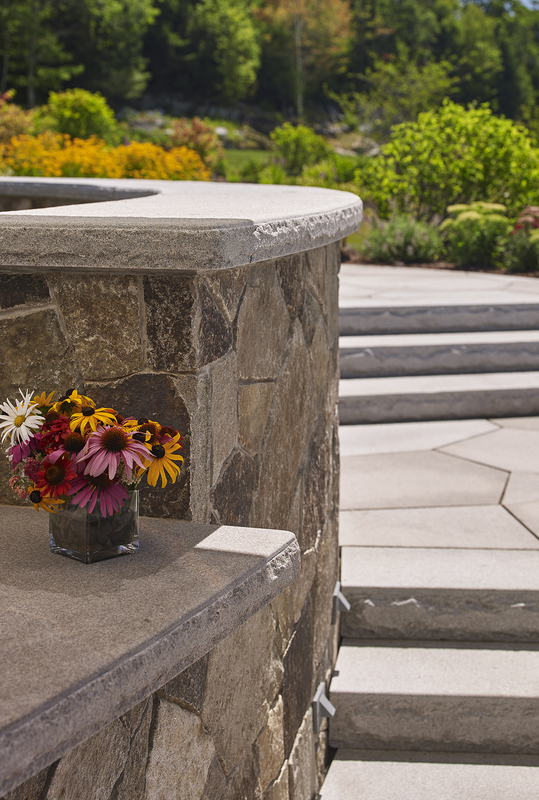 Many challenges were met throughout the design process due to the immense infrastructure needs at hand. “Over the Ledge” seems effortless from outward appearances, yet much of the heavy lifting and work is happening below the surface.